At the point where a UX team gets to play an important role in solving key business and/or customer problems it’s time to start talking about getting a User Experience strategy. However, in order to have useful conversations about what the UX strategy should be, it’s a good idea to have a common understanding of what it is. Unfortunately, there is no single definition of UX strategy that the UX community has settled upon. Nor is there a definition (that we’ve seen) that encompasses all of the key concepts. Rather than trying to create yet another definition for you to try and remember, it seems more useful to tell you what the important components are so that you can decide how you want to describe UX strategy. Achieving a long-term business goal – A UX strategy must think of the big picture and be designed to help achieve a major goal (or small number of goals) set at the business level. The strategy will be created to provide the UX-part of the solution to this larger goal and should be informed by the business’s strategy. Having a plan – A strategy is a plan aimed at achieving the business goal(s). If you don’t have a plan, you don’t have a strategy. This plan can be documented in all manner of ways but it should encapsulate: the main goal(s) you’re trying to achieve, what the immediate next steps are, what the mid- to long-term activities and objectives are likely to be, and how you will track whether you’re heading in the right direction. Co-ordinating your efforts to make the plan work – Even if you have a great plan that is designed to solve a critical business problem you still have to make sure that all of your people, resources and activities are directed at making the plan work. If you don’t do this and carry on as per usual, then you’re very unlikely to achieve the strategic goal(s). Identifying and mitigating constraints – To give you the best chance of success it’s important to know what issues you will/may encounter that could scupper all of your hard work. These issues could include: not having enough people in the UX team, needing more licenses for design software, legacy back-end system constraints etc. Once the issues have been identified then you’ll need to think about solutions to them, e.g. beginning recruitment far enough ahead of the project kick-off date so that new starters are up-to-speed in time. If you can’t solve the problems yourself, you need to evaluate the impact these issues will/may cause and flag them up to the business as risks that need dealing with. Validating progress with user research – Another key part of a UX strategy is making sure that the plan and your progress in achieving it are based on user research. As UX professionals we should all be trying to take evidenced-based decisions in our design activities. This is of particular importance when it comes to working towards strategic goals. This doesn’t mean you have to do loads of research up front; taking a lean approach and learning as you go can work just as well. However, making sure that your users/customers are at the heart of what you do should always be the aim. In particular, evaluating your ideas, with users at regular/key points in your design process is well worth striving for. Validating concepts and designs with user research is a key component of a UX strategy, as it helps bridge the gap between UX design and business strategy. Why do you need a UX Strategy? It helps prioritise key customer segments (personas/user groups) and how to address their needs, wants, and behaviour. Is your organisation ready for a UX Strategy? While having a UX strategy is certainly desirable, your ability to create and implement one will be largely dictated by the UX maturity of your organisation. 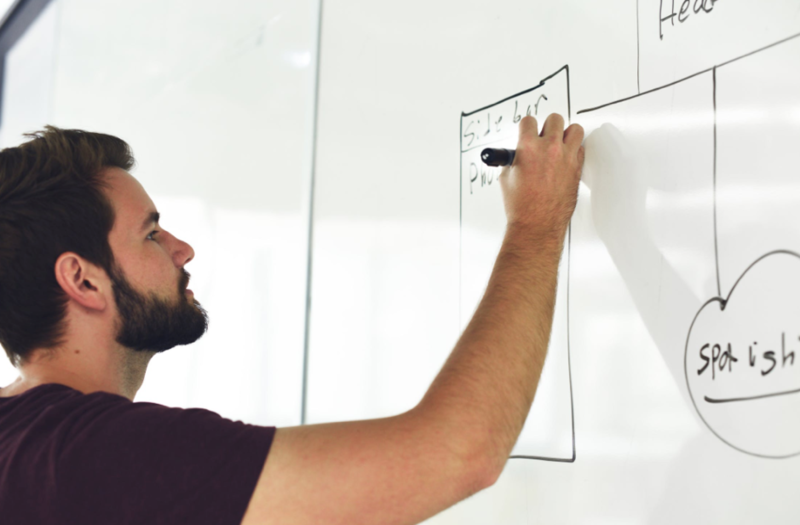 If UX activities are well established, routinely performed and the team has proven its worth to the wider business, you may well find the organisation receptive to the idea of a UX strategy. However, if you’re struggling to make headway with even (seemingly) basic ideas and activities, e.g. conducting some user testing, then you may need to work on a strategy for increasing the UX maturity of your business. Want some help in understanding how to create effective UX strategies and improving the UX maturity of your organisation? Get in touch, we’d be happy to help. Blog – How (UX) mature is your organisation?